No doubt about it. Watch the news even for 5 minutes and you are inundated with the state of the economy and news of hard times all around. The House rejects the bail out deal and the Dow begins a very strong downward slide. Conventional wisdom says to cut back on all fronts. Cut out all excess spending, all unnecessary people, move to lower cost channels. Uncommon wisdom says that while cutting spending is prudent, building revenues, stimulating demand and planning for growth in better times is even smarter. So what is the prescription for lean times? 1. STAFF REDUCTIONS - Before you issue the normal across the board cuts, you should skip this step and move on first to revenue generation first, particularly if you have already cut into the muscle and even into the bone of your organization. If you cut too deep, and your competitors are not in the same position, those cuts could cost you market share. But if you must cut back, draw yourself a picture of your organization, but this time do not use hierarchy as the structure. This should be a circle, one that puts the customer at the center, surrounded by those that directly touch the customer. The ones that generate revenue directly should be inviolate when doing cutbacks, so mark them with a green dot (the keepers). Those that provide customer support, which often generates indirect revenue (e.g. strong relationships encourage contract renewal or repeat business), should also be last in line for staff reduction, so also mark them with a green dot. Those that support customer support personnel should be separated into two groups. In green, highlight those that support revenue generating employees. In red, highlight those that support or manage the non-revenue generating group. As in any staff cutback, those that consistently under perform should be considered first, as those that remain will have to work harder and take on more and need to be able to handle the additional responsibility. As you get out to the third circle and beyond, ensure that where possible, you identify project oriented personnel, where if you cutback these positions you can bring in consultants as needed to complete the projects. This will lower your fixed costs. Flatten where possible, cutting out layers of management. 2. SHIFT CHANNELS - Anyone who has read anything that I've written on this subject knows that I am a very strong proponent of the higher yield, variable cost travel agency channel. Yes, it uses the GDS, but it produces a higher yield than online. Stop singing the "gotta own the customer on my site" song and try investing the same energy making up with the travel agency community. They are still a powerful sales force and would love to have a reason to sell your product. 3. FOCUS ON GROWTH - OK, now I know this one is counter intuitive, but there is truly no better time to hire a growth consultant to come in and help you figure out how to do more with less. There are new markets out there that are just waiting for your attention. You have the products and services to sell, you just need to be aware of the tools that you need to service new markets. In some cases it is technology, in most cases it is just tapping into the ingenuity that you have within your team. The front line is the best place to find this hidden asset. 4. STIMULATE DEMAND - No, I have not lost my mind. There is in fact consumer demand out there that given a little stimulation will materialize into new business. Consumers are cutting back. No argument there. Instead of flying to Tuscany, perhaps they will drive to upstate New York or to Oregon to check out the wineries there. Instead of buying a new couch, they will go to the playoffs or plan a trip to the Final Four. Instead of a 2 week trip throughout Australia and New Zealand, perhaps it is time for the great American road trip. Check out roadescapes.com and let us share how we can map your narrative content about US road trips to stored, adoptable trips in our system. 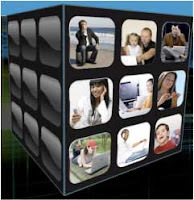 It is new new dynamic advertising tool - dynamic packaging on steroids. 5. INCUBATE NEW IDEAS - One of the hardest things for large companies to do is to expand beyond their core products and core competencies. But sometimes that is truly the best way to grow. At Solutionz, we can help incubate new ideas, outside of your organization. We take people from your team and work with them in an entrepreneurial environment to create something new that can then be assimilated back into your firm - or not! Our most successful venture on this front was building LasVegas.com for original owners Mandalay Resort Group and Park Place. It never would have worked being run within the two billion dollar casino firms. 6. VISUALIZE MOMENTUM AND GROWTH - All this focus on the negative will only produce one thing - stagnation. It is a little like standing in front of an elevator panel. If you push the down button it is absolutely certain that when you get in the elevator you will go down. Push the up button and you WILL go up. Plan only for decline and that is where you will go. Plan for and focus on growth and as the economy recovers (which it most assuredly will), you will be at the head of the pack - well funded, growing, strong and an industry leader. 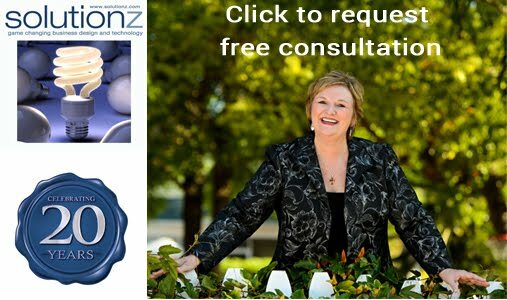 Check out www.solutionz.com. Give us a call. Choose growth. It's more fun! My colleagues who write the blog Travel 2.0 wrote a great piece this weekend called "mistaken identity". The story was originally from the Wall Street Journal about a company called Revenue Science that had technology and a database that predicted behavior and supposedly helped target advertising more effectively. Well, the writer cited element after element of the company's premise about him that did not hit the mark, and in fact were about as far from the mark as possible. The problem with treating this as "science" is that it ignores the behavioral and situational perspectives that govern choice. When LeisureLogix built the RoadTrip Wizard tool (a tool for the drive market recently launched on www.roadescapes.com), we knew that one of the great flaws of travel marketing was the assumption that there could be a single profile (or one for business and one for leisure) that could be applied to predict what I wanted to search for today. Our premise was one that begins with the fact that EACH time you travel, you are actually a different person, depending on WHO you are with, WHY you are traveling, WHAT you like to do when you travel (and WHAT as the lead versus WHERE you want to go), HOW you will travel and then WHERE you want to go and WHEN. So a single dimensional profile just won't do. In fact, it couldn't possibly cause a system to deliver relevant results to me when I search for something to do with my kids, versus when I go away with my best friend. And if you have invested millions to deploy technology that is predictive in its search methodology and believe that just because I searched for a romantic place to stay last time I was on your site, that this time I also want romantic lodging, then you could be sadly mistaken and make me work harder than I need to. In fact, my hotel preferences in my general profile used for business travel may not even apply, as I may prefer a bed and breakfast when I'm with my friends and a resort hotel with a cool pool when I'm with my kids. And I definitely eat different things and shop at different types of stores under these circumstances. In fact, I may have one set of preferences in the spring and summer and another in the fall and winter, or one when I drive my car versus when my husband and I take a trip on the Harley (.... if we had one!). We solved this dilemna by creating electronic twins that match each of my circumstances. Whether I'm traveling solo, as a couple, as a family or a group, there is an eTwin™ for me. And I can customize it and tweak it to match what I want. Google has us conditioned to accept quantity over quality and relevance. They make us do the work. You don't agree? How is it that they can give 190,000 results when I enter Tampa Aquarium in the search bar? I happen to subscribe to the theory that "less is more". Let me search by category or across categories. Let me filter by who I'm traveling with, or what I like to do under TODAY's circumstances. Don't assume that you know me or what I want today when I search and plan. Ask me. But make it easy. How relevant is the search on your site? Are you willing to take the electronic twin challenge??? Deerfield Beach, FL, September 18, 2008 --(PR.com)-- The producers of Eye on America are pleased to announce that the Solutionz Group will be featured in an upcoming episode as part of the show’s series on the roles of strategy and technology in the travel industry. The segment will air in the Greater Boston Area on CNN Headline News Comcast Cable on Wednesday, October 1 at 3:24 p.m. and 6:24 p.m.
Based in Tampa, FL, and able to call upon resources located worldwide, the Solutionz Group offers business development and strategic consulting services. This program will highlight the role that both online and offline technologies play in the industry ― and the crucial logistics necessary to stay competitive. Though the firm specializes in the travel industry and is known for such ventures as building LasVegas.com and leading the way in mobile travel in projects with Intel and Ericsson, the Solutionz Group is proud of its expertise in multi-channel distribution, business design and incubation. This includes their work with newcomer LeisureLogix and with niche online player HotelsbyHospitals.com. Their work has left its imprint on the mapping and navigation, technology and telecommunications sectors. The company focuses on business growth, strategic partnerships and “whatever it takes to make it happen”. The Solutionz Group offers a unique Guaranteed Business Model: they work on fixed price projects, assuring that all agreed-upon deliverables are expedited on time, on budget. 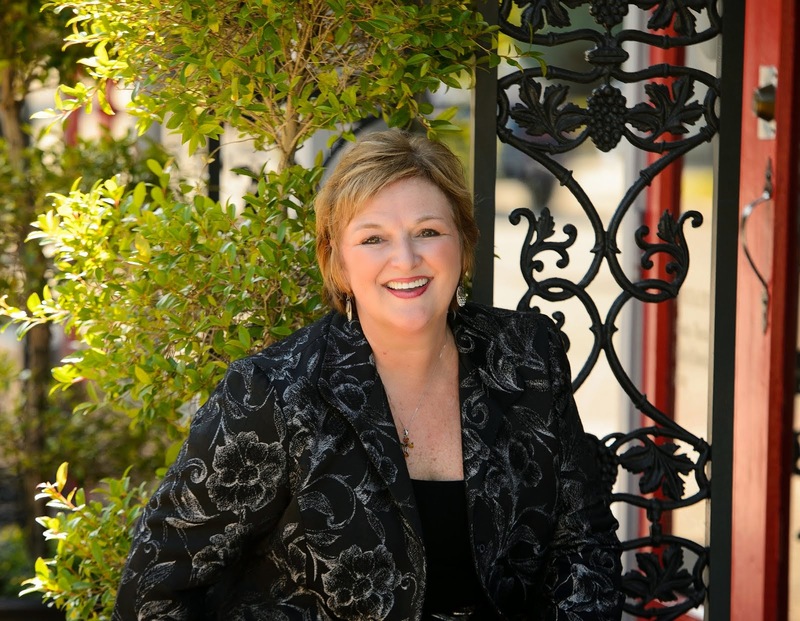 Their proprietary “Rapid Strategy” workshop provides clients with a framework to turn ideas for growth into an executable project plan in just 3 days. Fitzgerald says “It is all about results, growth and minimizing risks for our clients and partners”. The segment will air in other parts of the country over the next few months. For more information, please visit www.solutionz.com. You can see a low-res version of the segment there as well. Apologize for the slight delay in posting my observations about Day Two of the Beat Live Conference in Cleveland this week. I would like to say that this conference was really unlike the bulk of the conferences I've attended in this industry over the last decade. I told Jay Campbell that I thought that the candor shown by everyone (audience and speakers alike) was truly astounding in a public forum, but that perhaps it is because the Beat writes such honest observations of this industry to begin with. So perhaps their is no fear in telling the truth. That's the way it seemed anyway! Day two of the conference focused on innovation, both in pricing and in functionality. Patrick Grady from Rearden flew on the redeye to Cleveland to be on the "hot seat" on stage for 30 minutes of questions from the audience. Patrick is an impressive guy and my favorite quote was him saying that the "highest complement that anyone can pay him is calling him an entrepreneur". As an extreme entrepreneur myself, that was personally heartwarming! When I asked him how he raised money during the very tough economic times of 2000/2001, he recounted using his own funds to pay payroll and not taking a salary. Well, I can definitely relate to that one! Patrick no longer has such problems. Now he is just focused on innovation on the product front, armed with significant funding (e.g. more than $100m) from Amex and JP Morgan. At least today, those two financial service firms are still alive and going strong. My other favorite quote was Patrick saying that his product mission is to make his product "addictive". It is refreshing to hear an industry CEO frame everything around the customer, regardless of his motives. Thanks for the candor Patrick and for flying all night to speak to us. To be fair, TRX is doing some interesting infrastructure oriented plays - using new technologies for aggregation of data, as is Concur and Cindy at Thomson is using user generated content in ways that make her travelers' lives easier. Everyone agreed at the end of the day that to get to innovation you have to have investment and a willingness to take risk. Oh and making our products addictive to the customer is a good thing too! Dave Hilfman was an entertaining, if air centric host/MC and did a superb job of making everyone feel like they were a part of the dialogue versus just being talked to by the talking heads of the normal panels at other conferences. The audience under his guidance was even asking questions of each other. A nice refrain from the normal panel led banter. Thanks Dave. Thanks so much to Jay and Tim of ProMedia for putting this together and the rest of the ProMedia team for making it such a pleasure. And kudos for picking Cleveland. I was a skeptic, but it was a very nice place to visit! I'm even going to take my husband back to see the Rock N Roll Hall of Fame! Don't miss this conference next year! 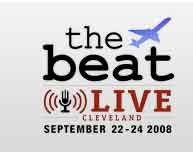 Day One The Beat Live - On airline cuts CO Hilfman says "Wait 'til you see what's coming in 1Q09"
At today's Beat Live Conference in Cleveland (don'tcha wish you were here? ), lively moderator and MC Dave Hilfman, SVP of Continental Sales led with this provocative comment about airline cuts. He cited that 4th quarter cuts had exceeded 8%, but in 1Q09 we should see "12, 13 and 14% cuts". This is of course in response to the continued volatility of jet fuel, which yesterday closed at $120 per barrel, an unprecedented one day increase. He also mentioned that every $1 increase costs Continental and additional $45m in fuel per year. Have you asked yourself what the implications are on your business of these cuts? What are your "choke points"? It is time to get a plan in place. I'd love to hear some of your ideas of what you are doing. And if you need help..... give me a call. Somehow, we have been desensitized to statistics. I don't know how it happened. The title of this blog comes from a quote attributed to Benjamin Disraeli and popularized in the US by Mark Twin. The statement refers to the persuasive power of numbers, the use of statistics to bolster weak arguments, and the tendency of people to disparage statistics that do not support their positions. So perhaps this abuse is the culprit. I have been on the campaign trail over the last two years to help people understand the power of the drive market. And I can tell you, this is anything but a weak argument. In my role as a leading member of the Leisure & Lodging council with investment consulting firm Gerson Lehman Group, I speak to half a dozen analysts a week about their investment in the travel industry. These individuals are generally following publically traded companies in our industry, or are looking at acquiring or merging a company with a company in our industry or they are considering funding the debt amassed by the private equity companies taking public companies private. Whenever given the opportunity to comment on the future of the industry to these companies, I revisit the same statistics and talk of my optimism about the growth potential for this industry if we can break out of the stagnant status quo. 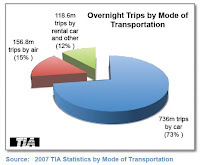 Out of 2 billion trips taken in the US, 1.7b of those were taken by a mode of transportation other than an airplane. Of those 2 billion trips, 969m of them were overnight trips. Hmm.... anyone want a piece of that $474b? Do you know why there is this much spent in the US on travel that isn't sold electronically? Could it be that eCommerce isn't the only business model that matters in this industry? Is there another frontier that we have only dreamed of? I believe there is. It is called location based content and providing information on those products and services that still aren't available electronically. And it is tapping into the myriad of hotel bookings that are still made by phone or walk up, by guess who - the drive market. But if percentages and statistic make your eyes glaze over, and more importantly don't change your behavior or your strategy relating to the drive market, how about revenue numbers??? Instinctively, you believe the air traveler is a more lucrative traveler. Sounds good. Can you afford to ignore a $495b market? I am amazed that after reviewing such stark statistics, that the response I often get from industry leaders and investors alike is "Ya, ya, but what do you think the impact will be of the GDS negotiations with the airlines in the next cycle?". The GDS companies collectively rely on the airline traveler for 90% of their revenues. So 90% is from 15% of the pie. I would ask the leaders of these companies, and their investors "How's that working for you?" As long as I will live, I won't understand this obsession. Well, I take that back. Obsessions are emotional, not factual. I know that. So I guess I do understand the obsession, as air travel is MUCH sexier than car travel. But where I come from, profits are much sexier than flat growth projections. And building a business is much more fun than cutting back and laying off. If I'm going to build a business moving forward, I'm going for the big piece of the pie as my market. How about you?